The following 17 inter-connecting corridors have been identified through our master-planning process as offering particularly important opportunities for new or improved links across the region, to benefit the local community and environment. The location, existing projects and potential future projects for each corridor can also be explored in detail in our interactive map. Blind Creek runs from the base of the Dandenong Ranges National Park at Ferntree Gully, through Ferntree Gully, Boronia, Wantirna South and Scoresby to Glen Waverley where it meets the Dandenong Creek. It has disjointed patches or strips of significant habitat along its length including some very special places such as Blind Creek Billabong. A shared path follows the path of the creek between the Belgrave Railway Line at Boronia all the way to Dandenong Creek. The creek is generally surrounded by residential areas, but also passes through the Knox Central principle activity centre at Wantirna South and between landfill sites in Wantirna South along the Dandenong Creek corridor. This corridor has environmental, social and recreational values. This corridor links four significant reserves and connects to the Port Philip Bay Foreshore, Kananook Creek and Living Links Nature Link corridors. Water flows into Boggy Creek from both the Langwarrin and Pines Flora and Fauna Reserves, through Carrum Downs to the Seaford Wetlands, then into Eel Race Drain and Kananook Creek before reaching Port Phillip Bay. The creek has a known population of the Dwarf Galaxias, a threatened fish species. The Royal Botanic Gardens at Cranbourne is a popular tourist destination and educational facility. It supports significant remnant native vegetation and an important population of the endangered Southern Brown Bandicoot within a predator-proof fence. The Langwarrin and Pines Flora and Fauna Reserves previously supported Southern Brown Bandicoots. This corridor has environmental, social, recreational and cultural values. This corridor follows Dandenong Creek and forms the central spine of the Living Links project which many other corridors link to. The creek flows south-west from Olinda, through Glen Waverley and Dandenong, then into the Patterson River at Bangholme. From there the water flows into Port Philip Bay. This corridor contains significant open space areas that provide recreational and social benefits. 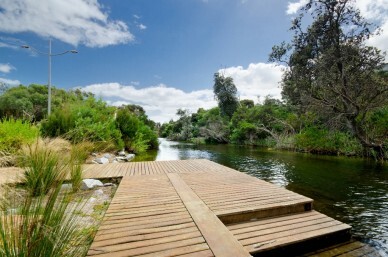 The Dandenong Creek Trail follows the creek all the way from Kilsyth to Carrum on Port Philip Bay, and provides important links to other regional trails. There are areas of industry, farming, and residential use abutting the creek corridor as well as significant stormwater treatment wetlands. The corridor supports a range of significant flora and fauna species. 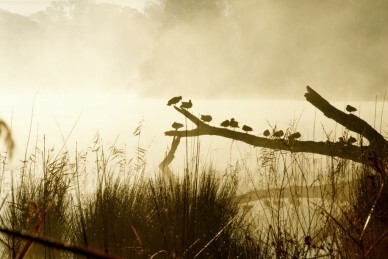 It is important for daily and seasonal movements of birds and insects (particularly waterbirds and parrots), as well as for pollen and plant propagules that the fauna may transport. Councils, Melbourne Water and the community have been involved in a range of restoration projects to improve the amenity and habitat connectivity of this corridor. Revegetation is playing an important role in reducing the extensive fragmentation of habitat that has occurred historically. This corridor links two significant parks – the Dandenong Ranges National Park and Lysterfield Park – to the Dandenong Creek. These parks provide opportunities for many recreational pursuits and contain significant vegetation for wildlife. The Dandenong Creek has a great network of shared trails. By providing a link between these valuable assets, each of them can be accessed and utilised more frequently and by more people, and the opportunities for enjoying the natural environment are increased. This creek corridor connects the Dandenong Ranges National Park at Upper Ferntree Gully to Lysterfield Park at Belgrave Heights via Ferny Creek and its tributaries, then on to the Dandenong Creek Corridor at Rowville via Monbulk Creek. There is an extensive shared path network that stretches from Upper Ferntree Gully to Stud Rd. This is planned to be extended to Dandenong Creek when opportunities to do so are realised. The western third of the corridor is located in the Scoresby-Knoxfield-Rowville employment precinct. This section also includes two golf courses and retirement communities. Further upstream of Ferny Creek, adjacent land use is generally residential, while on the Monbulk Creek the adjacent land use quickly becomes rural. This corridor has been subject to extensive revegetation works by Knox City Council, Melbourne Water, and friends groups over a number of years. 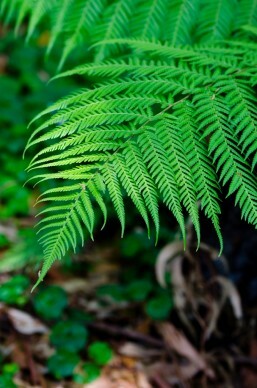 The Knox Environment Society are located adjacent to Ferny Creek at Ferntree Gully Recreation Reserve, and provide considerable support in the revegetation works undertaken across the City. This corridor has environmental, social, cultural and recreational values. 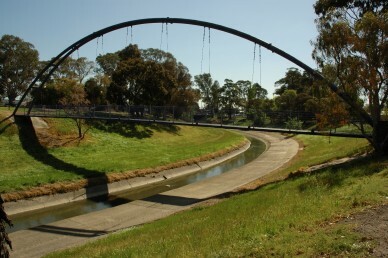 This corridor follows Eumemmerring Creek from Lysterfield Park in Narre Warren North to Dandenong South, and then continues along the Hallam Main Drain to Bangholme, where it joins the Patterson River Corridor. Many Living Links projects have occurred along the Eumemmering Creek. These have involved preservation of significant remnant vegetation such as river red gums, re-vegetation works and removal and control of weeds. The next steps are to join up existing trails and shared paths to create a continuous biodiversity corridor from Lysterfield Park to Patterson River. This corridor runs from Beaconsfield to Dandenong South along the Hallam Main Drain. 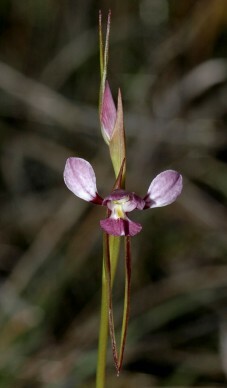 It connects the Beaconsfield Flora and Fauna Reserve along the Cardinia Creek at Beaconsfield to the Eumemmering Creek Corridor at Dandenong South. It has environmental, recreational and cultural values. 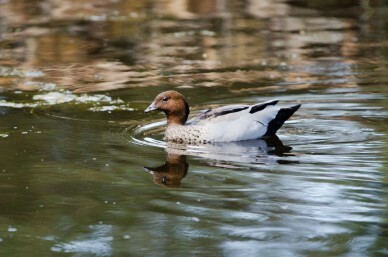 Kananook Creek is one of three tributaries in the Living Links area that flow directly out into Port Phillip Bay. It was a natural outlet of the former Carrum Carrum Swamp, which lay behind the coastal dunes from Mordialloc to Frankston. Running parallel to the coastline, the creek connects Seaford Wetlands to the Port Philip Bay Foreshore at Frankston. Greatly disturbed by past development, today Kananook Creek is in much better condition and is home to many indigenous plants and animals. 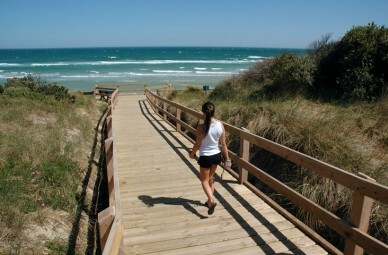 It is one of Frankston’s most beautiful natural environments, providing a unique and picturesque place for people to commune with nature in the midst of the urban landscape. 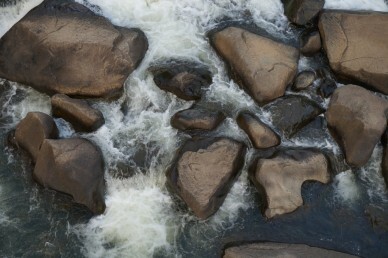 Kananook Creek was an important source of fish and eels for the local Boonerwrung tribe. There is still evidence of their activities along the banks of Kananook Creek. This corridor connects between Karkarook Park in Oakleigh South and Braeside Park in Braeside. Linking these two parks has been identified as a priority in the Sandbelt Open Space Project Development Plan and 2009-13 Kingston Cycling and Walking Strategy. Currently there is no path linking these two points through Kingston Green Wedge zone. This corridor links up with the Mordialloc Creek Corridor and through this to many other corridors. A further opportunity exists for a walking and cycling path all the way from Karkarook Park to Langwarrin Flora and Fauna Reserve via a combination of other corridors. 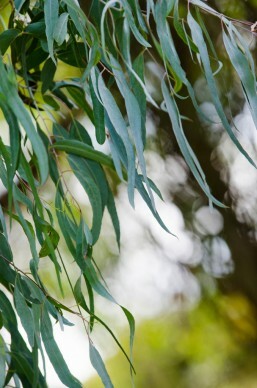 This corridor is an important strategic link within the Living Links project area, connecting between a number of other Living Links corridors – namely, the Dandenong Creek, Eumemmering Creek, Mordialloc Creek, Patterson River, Kananook Creek and Boggy Creek Corridors. It passes through three municipalities – the City of Kingston, the City of Greater Dandenong and the City of Frankston – all of whom are undertaking projects in the lower Dandenong Creek catchment. Opportunity exists for community planting days and weed removal works. Long Beach Trail is an existing shared path network that runs through an open space and drainage easement between Mordialloc Creek in the north and Patterson River in the south. 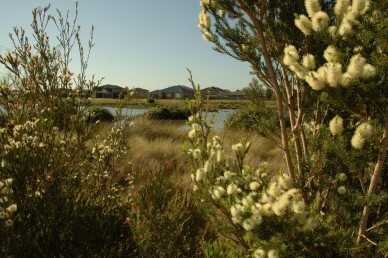 A number of important natural features adjoin this easement, including the internationally recognised Edithvale Wetlands as well as Yammerbook Wetlands, Mordialloc Creek Reserve, Wannarkladdin Wetland and the Edithvale Common. Much work to enhance the natural values of the corridor have been carried out by City of Kingston and Melbourne Water, with help from local schools, community groups and members of the public. There are opportunities for further work in various sections along the trail, such as improving path connectivity between residents and amenities and revegetation and weed control works to improve habitat for local fauna and provide a vegetation buffer for Edithvale Wetlands. This corridor connects between the Dandenong Creek Corridor at Bangholme and Port Philip Bay at Mordialloc via the Mordialloc Creek. It also connects between a number of other Living Links corridors including the Eummemmering Creek, Living Links Nature Link, Patterson River, and Karkarook Park to Braeside Corridors. Much work has been done over the years by council and the community on this corridor. Further opportunity exists for community planting days and weed removal works. This corridor has environmental, recreational and cultural values. This corridor provides a link between Lysterfield Park in Narre Warren North and the Hallam Main Drain Corridor at Narre Warren, thereby connecting to the Beaconsfield Nature Conservation Reserve in the east and to other Living Links corridors in the west. It largely follows the Narre Warren North Road. This corridor follows Patterson River from Bangholme to Port Philip Bay at Carrum. It provides an important link between a number of Living Links Corridors at Bangholme – including the Dandenong Creek, Eumemmerring Creek, Living Links Nature Link and Mordialloc Creek Corridors – with the Port Philip Bay Corridor. The Patterson River area was originally Carrum Carrum Swamplands, which extended from Mordialloc to Frankston behind a broad coastal sand ridge. In 1879, public works were conducted to cut through the sand ridge to drain the swamp. This cut was referred to as the Patterson’s Drain or River. Patterson River now consists of a thriving canal system within the Patterson Lakes residential area. 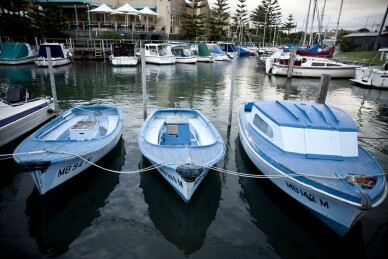 There are facilities for boats, riverside picnics and it also contains the National Water Sports Centre. This area is managed in partnership by Parks Victoria, Melbourne Water and City of Kingston. This corridor is centred on the Port Philip Bay foreshore between St Kilda and Frankston, providing a connection between the Mornington Peninsula and Melbourne. Indigenous vegetation provides protection from cold salty sprays during winter months and makes a beautiful backdrop for beach users during summer. Councils are committed to providing a shared cycling and walking path along the foreshore to connect with their neighbouring municipalities. This corridor follows Sweetwater Creek from the foothills of Frankston Reservoir to the base of Olivers Hill where it flows into Port Philip Bay. 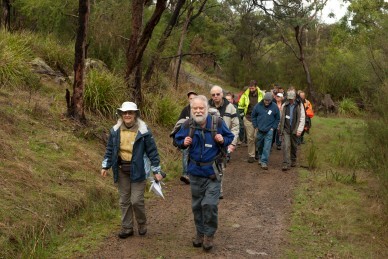 Thirteen hectares of remnant bushland surrounding the lower section of the creek is protected for its flora, fauna, geological and cultural heritage values. Walking tracks wind their way along the creek from swamps to steep gullies and floodplains to foothills. This corridor follows the Mile Creek from Clayton South to Dandenong. Council, Melbourne Water and the community have been involved in a range of restoration projects along this corridor to improve the amenity and habitat connectivity. Further opportunities exist for further restoration along this corridor.